At Christmas I was a very lucky lady and got spoilt rotten, I got lots of beauty products and amongst them was Olympea by Paco Rabanne. Just before Christmas, I went around Boots smelling all of the perfumes trying to figure out what ones were my favourites. I was like a kid in a candy shop and I honestly had so many sample papers, that eventually the scents all merged in to one. The one scent I absolutely loved was Olympea by Paco Rabanne and it smelt even more incredible on my skin. Olympea is a beautiful fragrance, which is perfect for anytime of the year and occasion. It's floral notes make it a great Summer fragrance, the vanilla & woody undertones then carry it on through to use as a Autumn/Winter perfume. I'm obsessed with any perfume containing vanilla, it is my all time favourite scent and it adds such a beautiful note to fragrances. All of the notes in Olympea are: green mandarin, ginger lily, hydroponic jasmine, salty vanilla, cashmere wood and ambergris. It is a refreshing oriental fragrance, the perfect mix of sweet and salty, sugar and spice, fresh and sultry & day and night. The scents are very captivating and the perfume is very distinctive, it is a powerful fragrance but not so much so that it is overpowering. Olympea is unique and a very different fragrance to those I have owned in the past, each time I smell the scent I recognise the different tones and it changes from sweet to sultry. The packaging is beautiful, both the box and the bottle itself. The design is somewhat angelic with wings on the box + bottle, with it being named Olympea it is fitting. I also love the touch of rose gold on the bottle being a lover of the recent trend and this is also present on the box packaging. 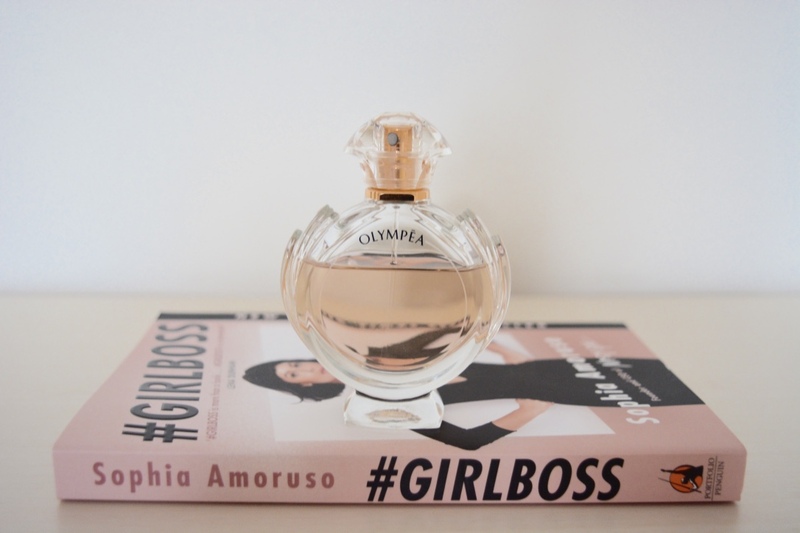 It is a stunning perfume all round and ticks all the boxes, it would also make a lovely gift. I will definitely be repurchasing this little gem once it runs out and cannot wait to see what other fragrances Paco Rabanne will bring out.